Historic, gastronomic, cultural, natural France … You may want to see it all (or nearly all) when you spend a fortnight in France. North, South, big cities, and smaller cities, the authentic France … Such a journey is difficult to organize if you do not know well where you are going. Fortunately, we can give you some tips. You can travel to all those places by public transportation (bus, trains) or with a tour but the most convenient would be to rent a car. It’s possible to find a car for less than €30/day departing from Paris on a comparator like this one if you’re luck enough. To begin your journey in France, Paris is obviously the right choice. You will quickly be impregnated with the French spirit. Those two days in Paris will be very active, but if you want to see a maximum of the city, it is worth the effort. You will not be tired the first day, so use it to visit the most famous landmarks: the Eiffel Tower, the Trocadéro, the Arc de Triomphe, the Place Vendôme, the Louvre, and the Place de la Bastille. On the second day, prefer the calmer areas such as Saint-Germain, Montmartre, and Le Marais. 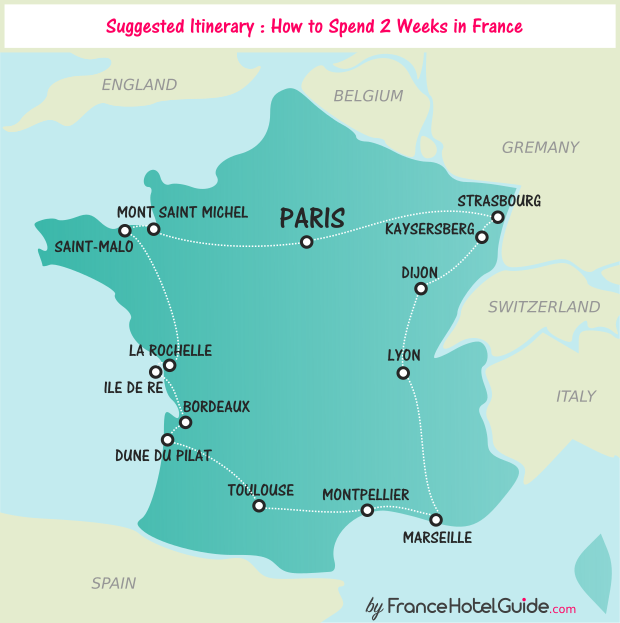 Wherever you go, you will find French bars and restaurants and pubs to taste French food. Compare and find a hotel in Paris. As it is almost an island in the Channel, you can access to the Mont Saint-Michel with a bus or after a walk (you should not try swimming, though). The best way to access to it is still to hire a guide and to cross the bay with good shoes. It is one of the most visited places of France, so do not miss it. You will walk with water all around you, visit the abbey, and eat local specialties in the restaurant La Mère Poulard. Events often take place there (most of them are religious). If you want to really enjoy the Mont Saint-Michel and avoid the crowds, try not to come one of those days. Compare and find a hotel in the Mont Saint-Michel. 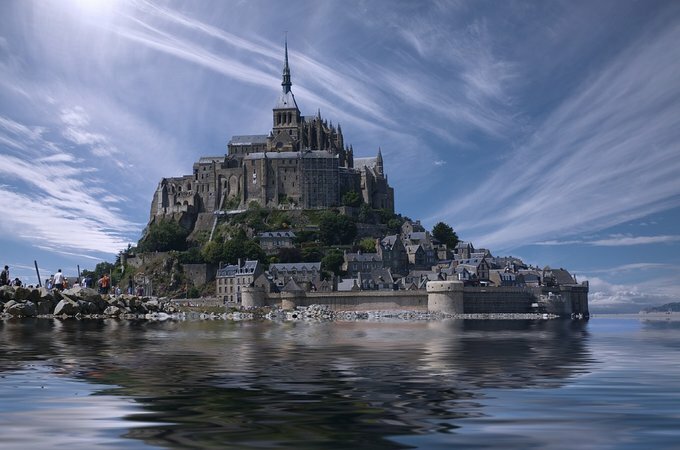 Book a 1-day trip to Mont-Saint-Michel. When you journey through France, have a stay in Saint-Malo, one of the biggest harbors in Brittany. 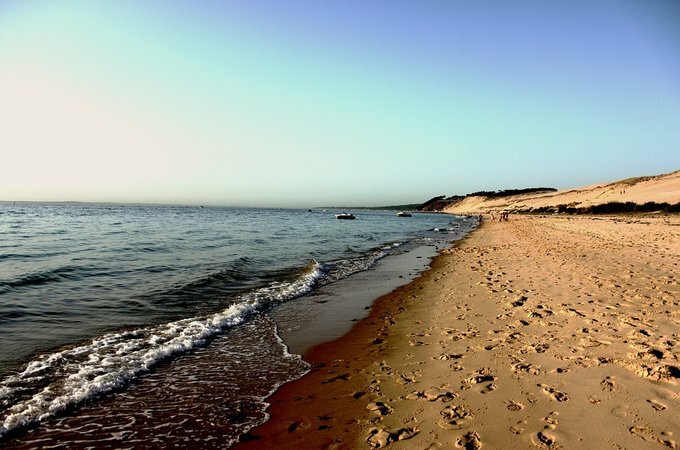 There is less commotion than in the capital city but after the Parisian turmoil, you may enjoy being in a peaceful and quiet place on the shores. Everything is made to make you feel at ease and for you to relax by the seaside, the beaches, the shops, and the spas. If you like culture and history, visit the fort of Saint-Malo and its walls, and the WWII memorial. Brittany is also famous for its gastronomy, so after your activities, treat yourself with a galette, a crepe, and some cider. 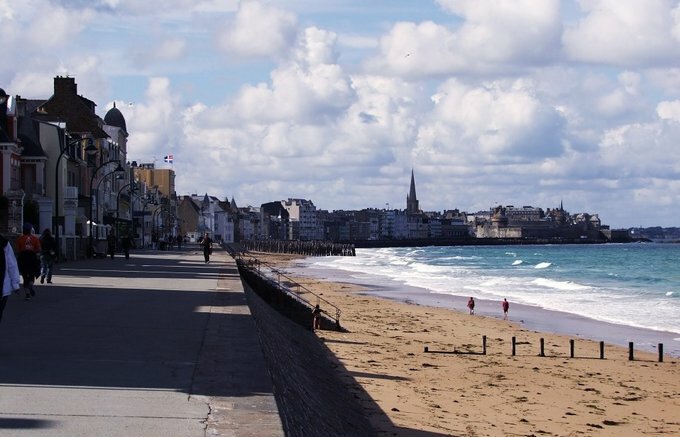 Compare and find a hotel in Saint-Malo. 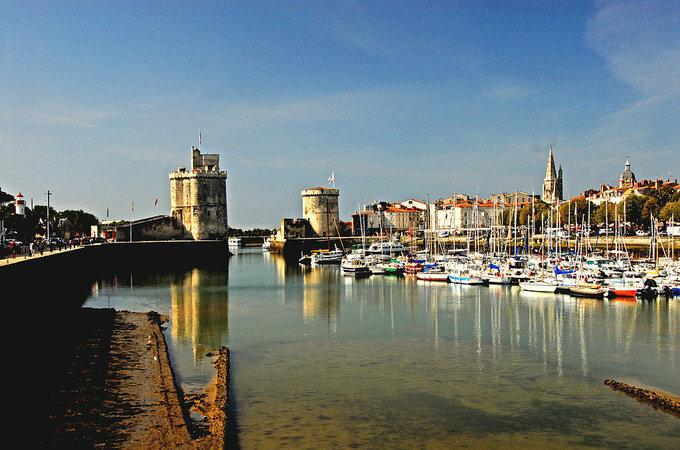 La Rochelle is a sea city too; it is a historic and urban city, but mostly a harbor. The city is well-known for its three harbors (trade, pleasance, and fishing), and there are also many locations that are dedicated to the ocean there. The aquarium of La Rochelle, its museum and its towers draw the attention of many tourists each year. Besides, La Rochelle organizes each year events at sea like the traditional “Fête du Nautisme” dedicated to sailing. Seafood restaurants are everywhere on the harbor, and the markets open early to sell the fresh day’s catch. Compare and find a hotel in La Rochelle. 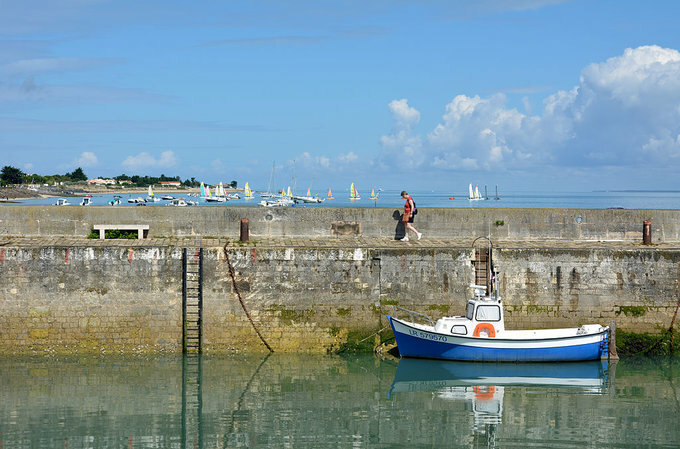 The Île de Ré stands between nature, wellbeing, gastronomy, and cultural heritage, and that is why we love it! The biggest city is Saint-Martin-de-Ré and it is very much appreciated by the tourists, but the nearby cities are just as nice and sometimes wilder and more authentic. If you want to visit the island, the best way to do it is on a bicycle, since many paths were created for everyone to enjoy the shores of the island without polluting it. Thus, you will discover Vauban’s fortifications around Saint-Martin-de-Ré, the lighthouse Phare des Baleines, and the famous salt evaporation ponds. At night, the regular customers gather in their favorite places. If you do not want to be surrounded by tourists, go away from Saint-Martin-de-Ré and you will easily find small restaurants to eat oysters and drink white wine at peace. Compare and find a hotel in Île de Ré. Bordeaux is well known for its wines and for being in great city for students. It is one of the main French cities you must visit during your journey. You won’t get enough of these two nights in Bordeaux and its surroundings. This is an ideal city no matter the season, even in summer since the students and the inhabitants often leave the city. You can explore its religious, industrial, cultural, and environmental heritage. If you like to have fun, the casinos and the numerous nightclubs might please you, as well as the bars and the several events taking place here often in the year. Compare and find a hotel in Bordeaux. 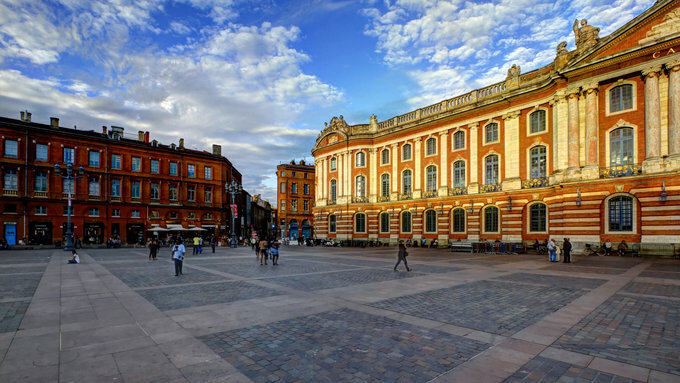 Toulouse, the pink city, the student city, and the historic city. The inhabitants are proud of their city, and they should be. The pink (sometimes red) bricks of the buildings make the city colorful even in winter. You will always find something to do in the historic capital city of Languedoc. If you are looking for green plants, try the Garonne’s banks, the Jardin des plantes, or the Jardin du Grand-Rond. Toulouse has an important historic heritage, like the Place du Capitole, the Basilique Saint-Sernin, or the Abattoirs (modern and contemporary art museum). It also is a student city, which means you can easily and always find a bar to party in all night. You just have to choose when to stop in Toulouse now. Compare and find a hotel in Toulouse. There are few true inhabitants of Montpellier. Many people come to study and work here, but few were born and live here. What to do in Montpellier, then? You can go out at night, of course; Since there are many students there, finding a bar or a nightclub is quite easy, but you can also choose to visit the city. If you wander a bit, you will always end up in front of a monument or an interesting place. The Place de la Comédie is the center of the city; it is a good place to start. 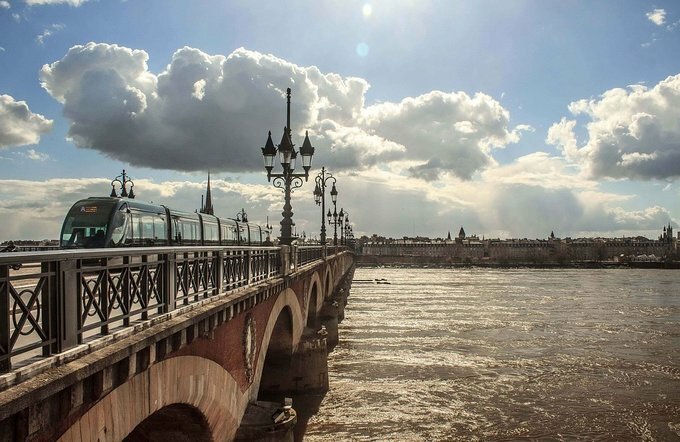 From there, you can discover the Esplanade Charles-de-Gaulle, the Arceaux, the Place Royale du Peyroux, and many others! Compare and find a hotel in Montpellier. Marseille is well known for its accent, the Vieux-Port, and the bouillabaisse. But it is also and above all a historic city, since it is considered the oldest city of France. If you want to enjoy your stay in Marseille and enjoy this pretty area, you should find a hotel or a room in the historic centre of the city, in the « Panier ». 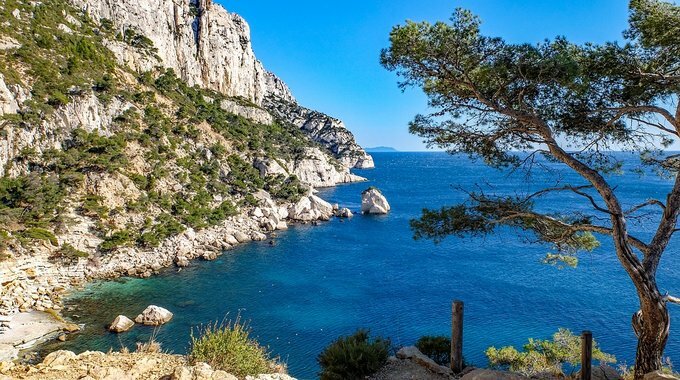 The must do’s are the Calanques, the Vieux-Port, the Canebière, and the Second Empire monuments. Other places, more recent, also bear a great part of history: the Cité radieuse by Le Corbusier is one of the most emblematic modern buildings of the city. Stop by a small restaurant to taste the local specialties (tapenade, bouillabaisse …) with a pastis (the local drink) to enjoy the southern sun. Compare and find a hotel in Marseille. This city, located 3hours away from the sea and not far from the mountains, it is well-based and is one of the most visited cities of France. 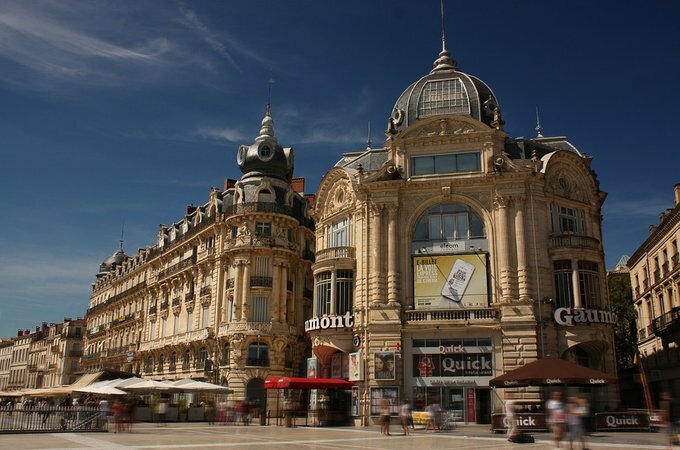 More importantly, Lyon has a profundly rich historic, cultural, and environmental heritage. You can walk through parks, go shopping, or on a stroll in very authentic streets. The Vieux-Lyon and Fourvière hill are among the must-do’s even if you do not spend much time in the city. If you want to taste some culinary specialties, you can try the saucisson de Lyon, the quenelles, or the gratin dauphinois; they will not disappoint you. As for the rest of the city, 236 buildings are listed as historic monuments, so you can walk around and admire them at your leisure. Dijon is famous for its mustard, but there are many other things to see there. The city and the Dijon area is well known for its gastronomy around the world. If you too want to discover it, you just have to choose: snails, truffles, boeuf bourguignon (Burgundy-style beef stew), gougères (savory choux pastry), or nonettes (gingerbread cake). The monuments are less famous, yet one cannot help but to find them imposing. With its medieval buildings, its Haussmannian streets, a bit of modernity, and green parks, Dijon managed to create its own unique charm. The scarcity of modern buildings can be explained by the fact that Dijon was one of the first cities with a classified heritage. So you will find many theaters, shops, cinemas, or libraries with an ancient look. This is an extraordinary city in a region which keeps developing. The city of Kaysersberg is very famous, but it is among the most beautiful of France. It looks like the German countryside, and the well-informed visitors come here to have an insight of the authentic France. There are mostly religious monuments, like the church, three chapels, an old convent, and a priory. Other buildings are a testimony from the past, like the City Hall, the fortified bridge, or the tower Tour de la Porte Haute. But the city in itself is an open air museum, with half-timbered colored houses. Lost in its valley, Kayersberg is a good place to relax and have another vision of France. 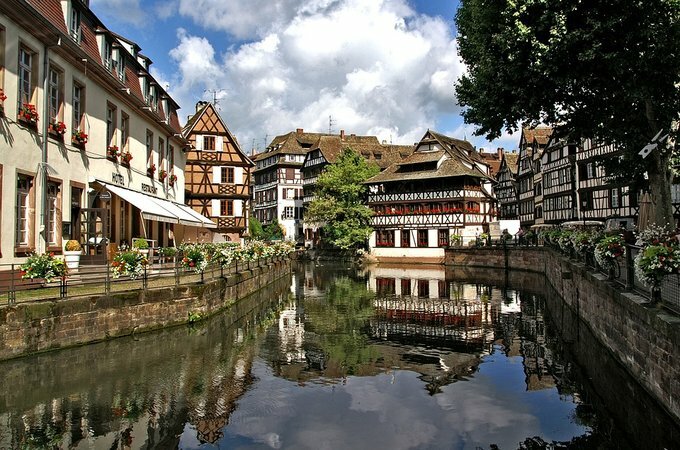 Located in the East of France, Strasbourg must not be forgotten. On the Germany, the city has a long history and the monuments to show it. The entire downtown is listed in the UNESCO’s World Heritage. 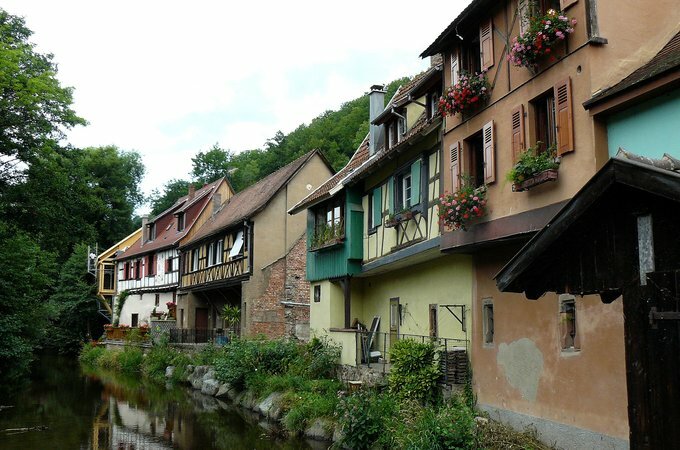 It includes the Notre-Dame de Strasbourg Cathedral and the historic district of Petite France. The city comprises famous national monuments such as the National Theater, the National Opera, and the National and University Library. Just like most of the main French cities, Strasbourg welcomes many students and enjoys funny parties every night. You will easily find bars or events such as the Christmas Market. And if you decide to stay a little more, don’t hesitate to look at our article on the best places to visit in France !